When you visit a national park, #DontFeedTheLandfills. Here's how. When you visit a national park, #DontFeedTheLandfills. Here’s how. IT’S A SIMPLE yet profound concept: Don’t feed the landfills while visiting our national parks. We take for granted that since there are trash cans in the parks, it’s no big deal to fill them up with a bunch of our camping and picnicking rubbish. The problem is that trash has to go somewhere. Inevitably, it ends up in our ever-expanding landfills. So Subaru — the nation’s first zero-landfill automaker — and the National Parks Conservation Association have teamed up on an initiative called #DontFeedTheLandfills that aims to address this problem by reducing the amount of waste collected at our national parks. Three iconic parks — Denali, Yosemite, and Grand Teton — are piloting the project. And if all goes well, we can expect the program to spread to other national parks as well. Simple yet profound: Pack out what you pack in. Use reusable containers for food and drinks. In short, don’t feed the landfills. 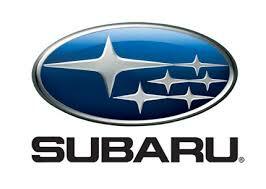 This video is proudly produced in partnership with Subaru.